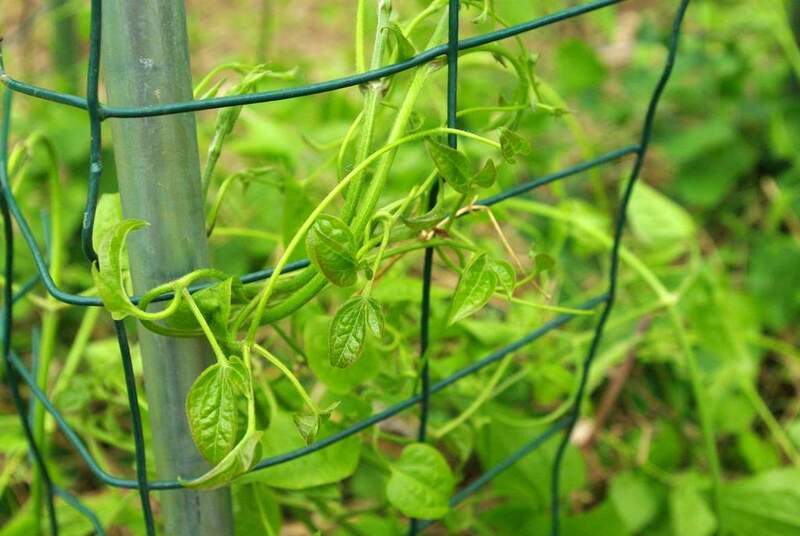 I grow several different types of flowering vines, and most of them have no trouble climbing on their own. Spanish flag vine, cypress vine, scarlet runner bean, hyacinth bean, snail vine -- these all will gladly wrap around anything vertical and vault themselves skyward. Even a slippery surface like a smooth metal pole isn't a problem for them. 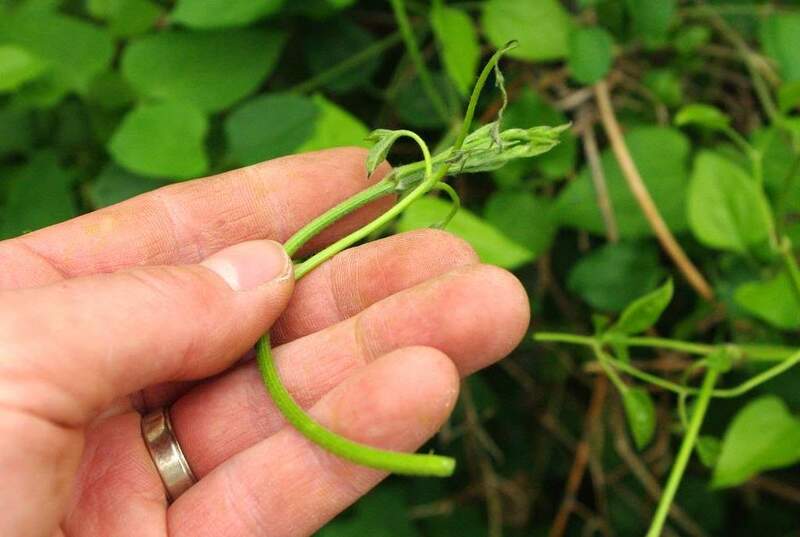 The one perennial vine I grow right now is a different story I've learned. 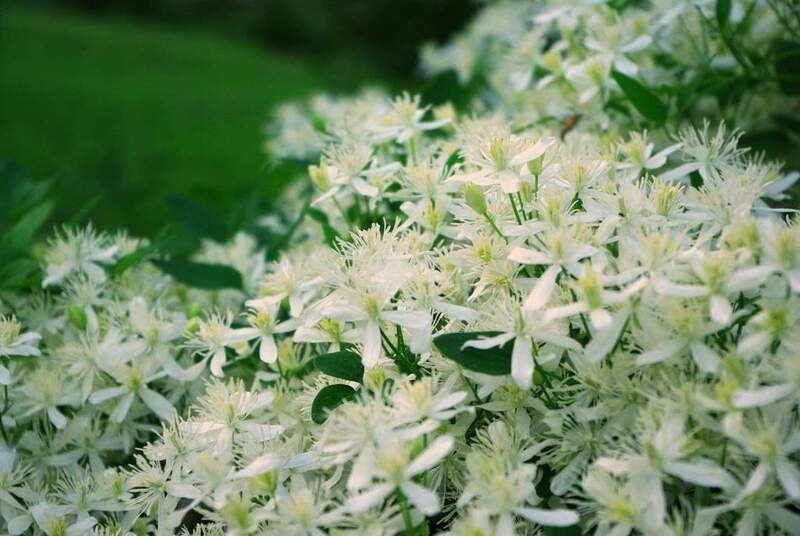 Sweet Autumn Clematis is a beautiful late-summer bloomer, but it just doesn't have the gripping power that the annual vines do. 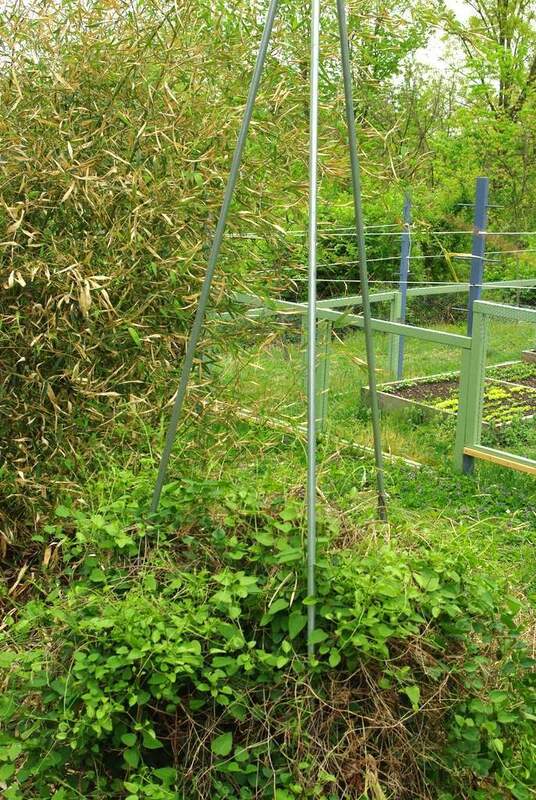 I built my simple tripod trellis for it last year, and it never got more than waist high. 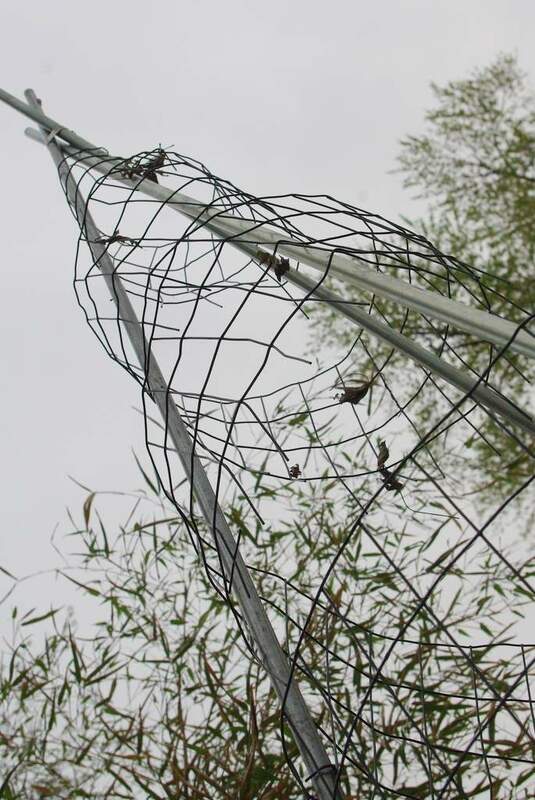 Yes the deer chomped it a few times, but it just doesn't twine strongly enough to grasp the smooth surface, so it just sort of piled up there at the base. 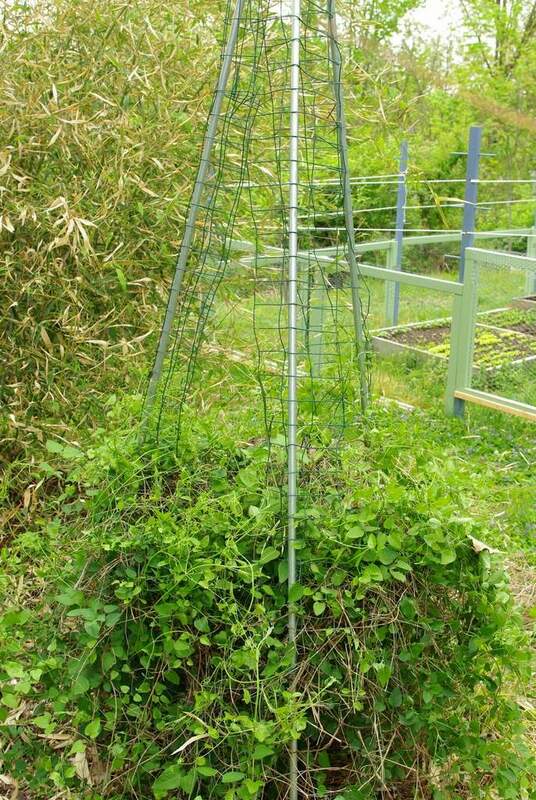 Once I realized this was happening (last year) I kept meaning to add some sort of support for the vine to climb, but never got around to it. This year I'm taking this job off the "do later" list and moving it to the "do now!" list. As in today. 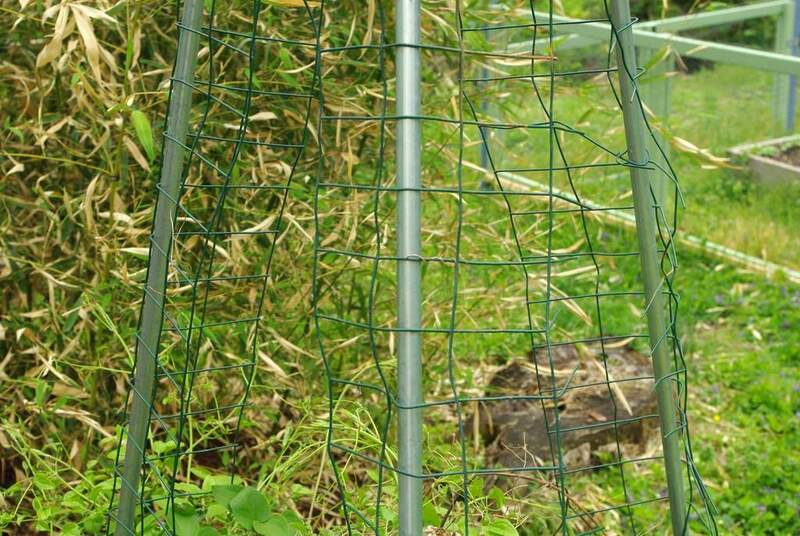 I was going to use chicken wire to wrap the poles, but then I saw this roll of coated fencing material that I pulled out of one of the raised beds a month ago, and thought it would be better. 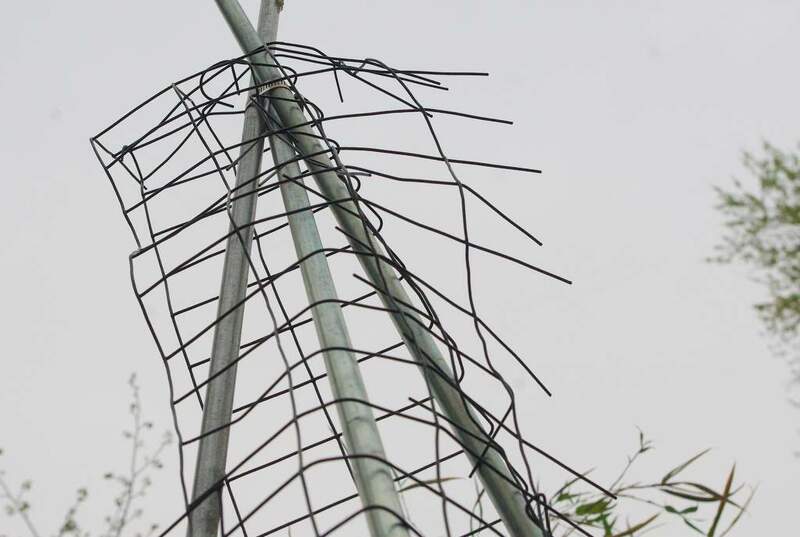 It's stronger, more attractive, and won't rust like my old, old chicken wire does. 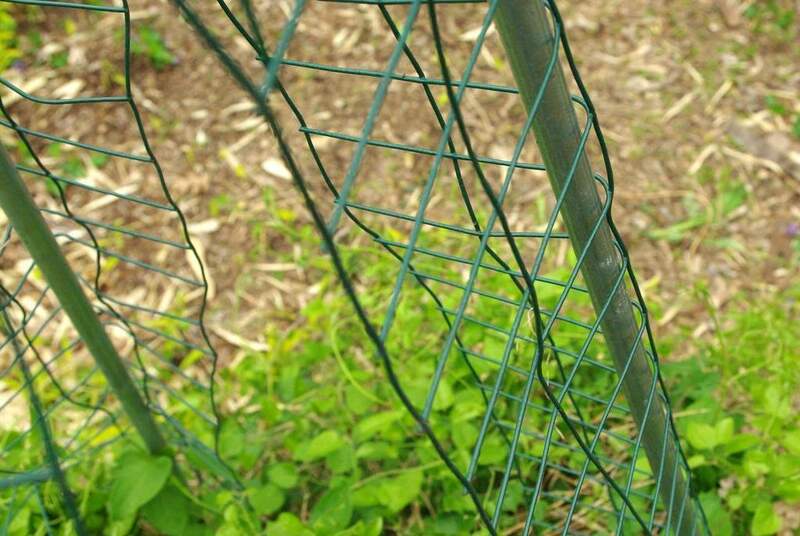 It looked pretty terrible, wasn't well-fastened to the poles, and the gaps would be difficult for the vine to cross. I don't want to think about it blooming right now though, because that will mean that summer is winding down, and that's months away. 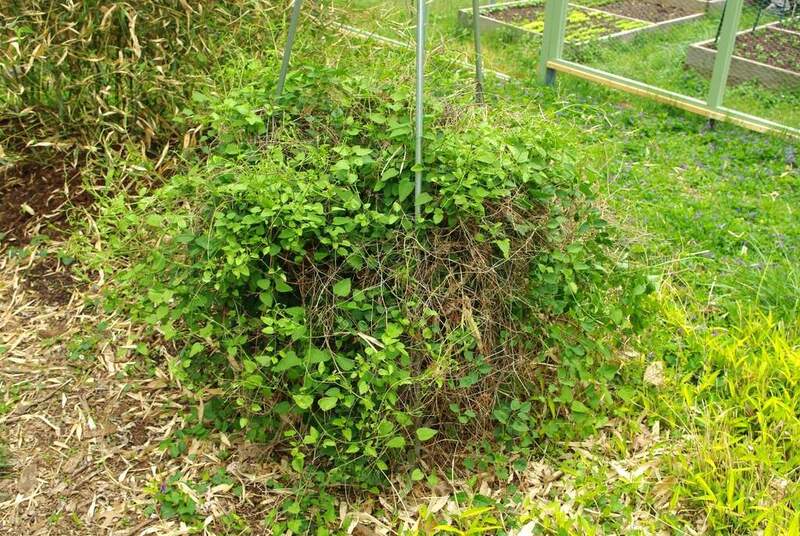 I'll just focus on the leafy goodness for the time being, and admire my work in helping this vine boost itself to the highest parts of my garden. Looks like a great solution! How tall is your "tripod"? 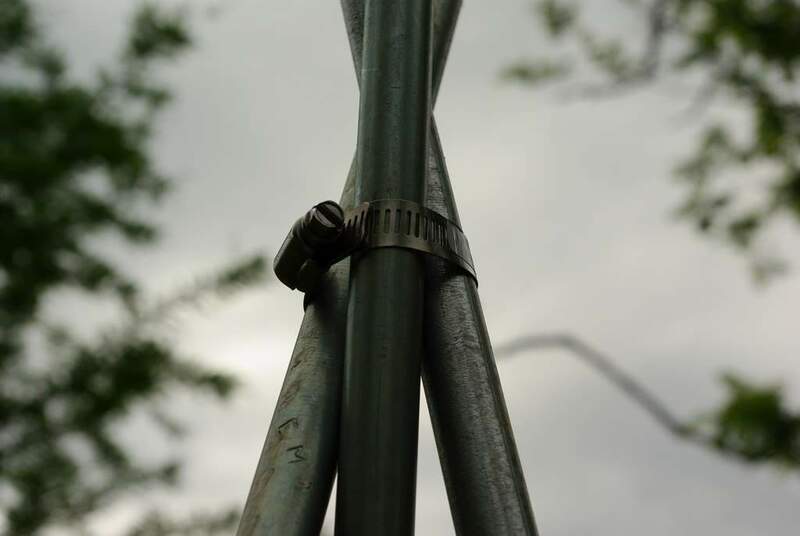 The tripod poles are 10' electrical conduit, so probably 8' or slightly more. 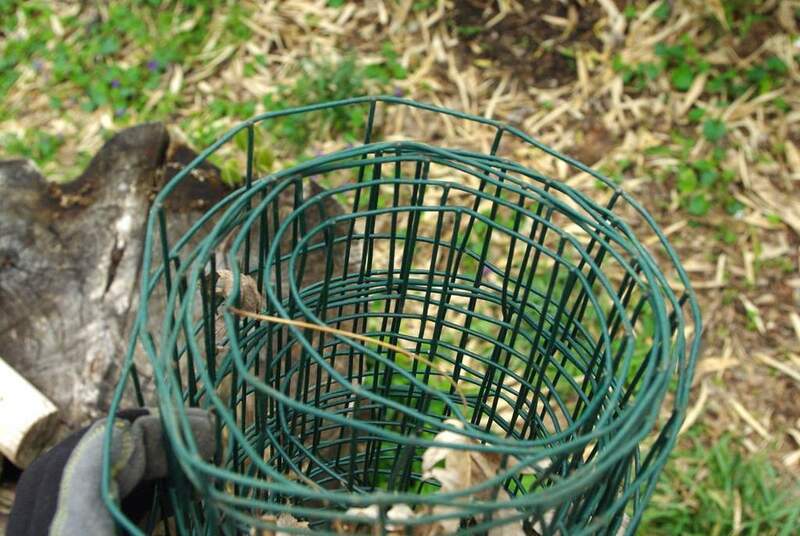 It's super-sturdy once the hose clamp is tightened down, as long as the legs are sunk into the ground a foot or so. Cool, hope that works out for you. Lots of people around here grow wisteria unsupported. It turns into a wacky-looking shrub.